The timing analysis and scheduling simulation of AUTOSAR ECU software is often associated with high modeling effort. 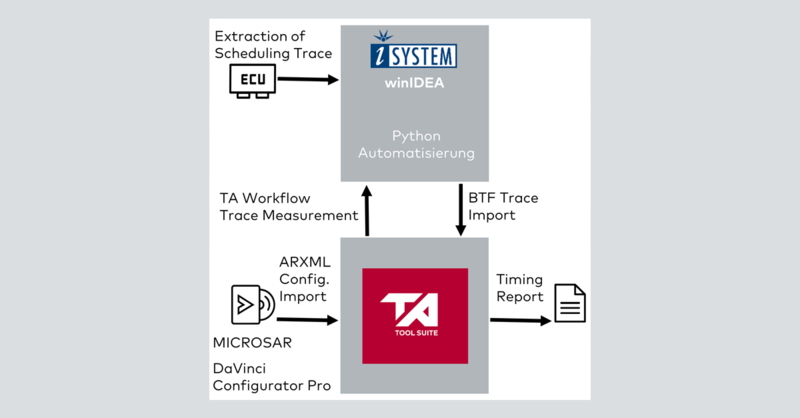 In our new Case Study, we show you an optimal solution with the TA Workflow as an automation environment within the TA Tool Suite with interfaces to DaVinci Configurator Pro and the winIDEA Profiler from iSYSTEM. Take me to the Case Study.